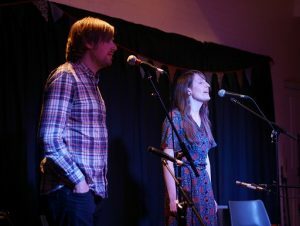 Laura Smyth and Ted Kemp perform traditional songs from England and beyond, with special attention given to their respective homes in the North West and East Anglia. While placing a great value on unaccompanied solo and harmony singing, they also accompany themselves on English concertina, 5-string banjo, cello, and guitar. Laura and Ted interpret and deliver their music with a reverence for traditional performers and source material, taking influence from the classic folk revival performers of the 60s and 70s, whilst achieving a style that is very much their own.